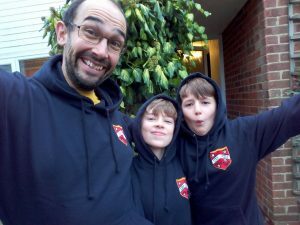 Clad in our new hoodies, the Sann Clan marched to war! ARBBL makes you use two different strength teams on the two days, so I was taking Elf then Vamps, Linus had Nurgle then Chaos Pact, Alex went for Chaos Dwarfs then Goblins. I was using the Apes to represent, as I enjoy the figures – Hawk got a little confused at the beginning, so it wasn’t perfect, but he didn’t manage a draw against me with Halflings so I don’t feel too bad. Game 1 was against said Halflings for me, with Zara. I went in 1-0 at the half, but the only fling off the pitch was from a sending off, who killed one of my catchers, so it wasn’t ideal. Zara got the ball, and rather than trying to dislodge it from a S4 blodger (Strip Ball might have been wise) I went for whittling down her support, which would have worked better had Hawk not whittled 4 of my players off the pitch in the first turn of the second half. A poorly-judged defence in turn 16 and some favourable dice meant that Hawk pulled off the 1-1 in the end. Don’t supposed we’ll hear about it again though. 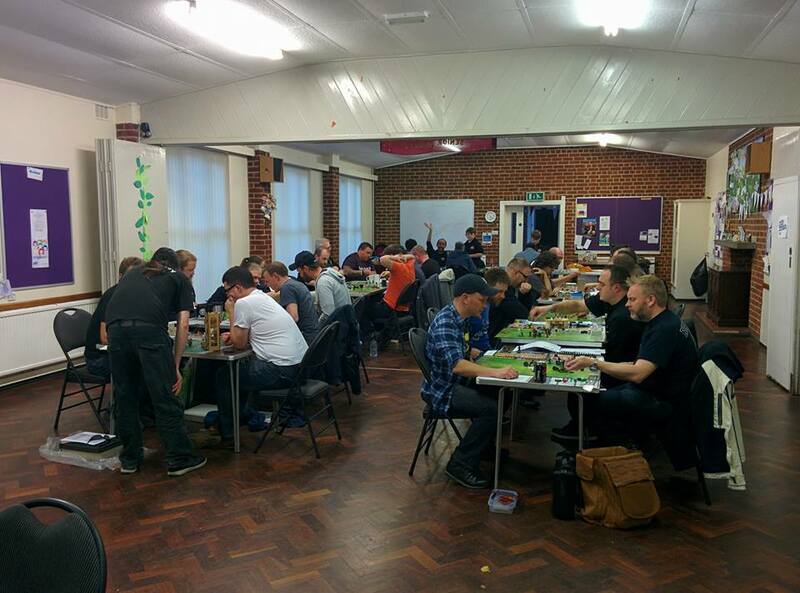 Alex managed a draw against the mighty Besters with his dodging CDs against Underworld, and Linus failed to stall against scs.sam’s Slann, trying a sideline cage (oops) and ended up on the wrong end of a 3-0. 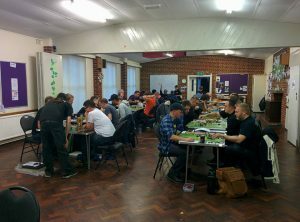 Because of the format of the tournament, there were a lot of stunty teams, and we now played the Goblins of Bubba from Bristol, all 3 goblin teams. Alex got chainsawed a lot, and ended up losing 1-0, Linus drew 0-0 in a nailbiter, and the Elves did what they are supposed to and managed a 5-0 against Eski, after a tense first half on his drive. More stunties for me in game 3 against an ECBBL team, again made up of all Tier 3/4 teams. I faced Morg and halflings, coached by Yogi, in one of the most painful matches I’ve had, in terms of how ridiculously one-sided it was. Both his trees rooted in turn 2, after 3 1s in a row, and from then on it was just a case of getting in Morg’s way until something went wrong for him. He had to try a desperation play eventually, and the Elves did the Elvish thing. The second half didn’t get much better, and we finished on 4-0. Alex lost 1-0 to Heff’s Vampires, managing to almost completely destroy his team, but not quite having the knowledge yet to capitalise. Linus lost to an identical Morg team, coached by WishWellingtons. So the Sann Clan finishes on 2-3-4, third bottom, and facing an ARBBL team this morning. I was going to use the Apes as Vamps, but I think I will switch out to my standard Vamp team to avoid the confusion (or might ask my opponent each round). Alex is looking forward to secret weapon shenanigans (including an HMP bomber) and Linus is using the TFF Legacy Pact team that I won when he was 3! Despite my 10 TDs in the day, I am trailing behind Landrover’s High Elves for most TDs on 13, after he demolished Sam’s Slann 6-2, as well as a couple of other big scores.